In this, the second of her series, Cathy Isom tells you where you should plant chamomile. That’s coming up on This Land of Ours. As delicate as chamomile appears, it’s a hardy little plant that does well in pathways. It can pop up between patio stones or alongside raised beds to keep the garden cozy and sweet smelling. Traditionally, farmers have planted chamomile under apple trees and alongside cucumbers and cabbages to improve flavor. Plant it alongside herbs like basil and thyme to increase essential oil production in these plants. 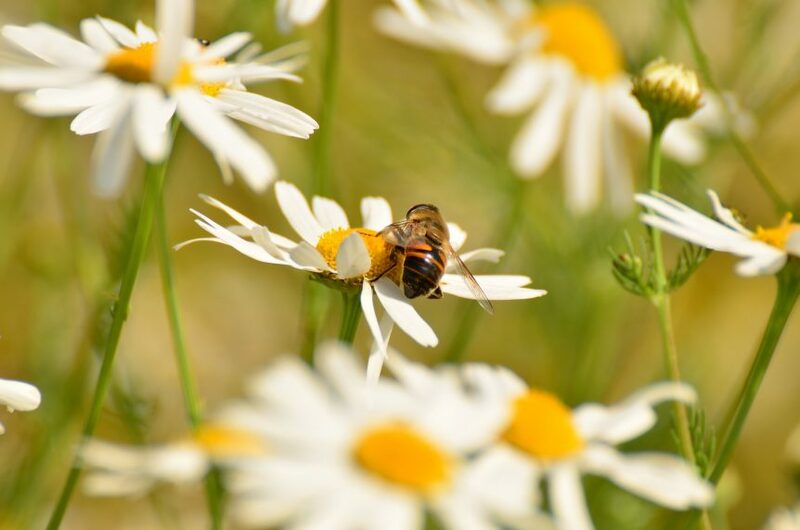 Chamomile also attracts friendly insects like bees and ladybugs to the garden, and repels mosquitos. It does not generally do as well indoors. It’s a social plant, preferring gardens and rocky walls to planters and pots. Grow it outside with lots of light, minimal watering, and a companion plant or two. Try setting it up near a radiator or woodstove, to make sure the plant stays warm, and near a south-facing window for lots of light.